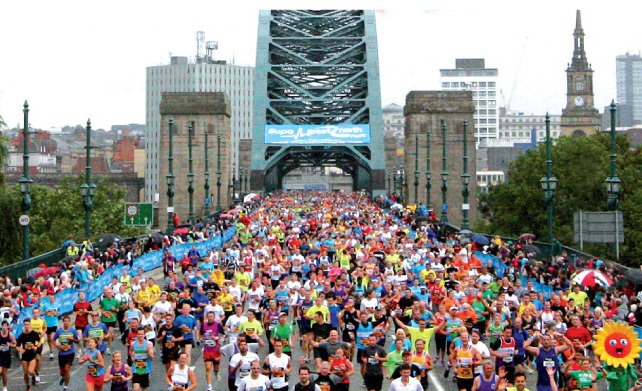 The hugely popular Great North Run is the world's largest half marathon with over 55,000 runners taking to the streets of Newcastle. Live music, on course refreshment and thousands of cheering supporters will keep you motivated every step of the way. a souvenir certificate to commemorate your achievement. What is the start time? You need to be in your starting pen by 10.30am at the latest, otherwise you'll have to join the half marathon at the back - or not at all, if you arrive after 11.30am. Allow plenty of time to arrive as the crowds will take a while to navigate! From there runners will travel through Gateshead while being entertained by our Bands on the Run. The route, lined by thousands of supporters, leads runners to South Shields where at the top of Prince Edward Road the view of the sea is one of the most welcoming sights along the whole course. From that point there is just over a mile to go and the crowds get louder as runners make their way down the final straight towards the finish line. Parking is difficult due to Newcastle road closures and - with people descending on the city from all parts of the country to run the 13.1-mile course or to show their support - driving will be almost impossible. The best way to get to the starting line or to find your way around the course is to use Newcastle parking and then take the city's public transport. However, if you have no other option but to drive then here is everything you need to know about travelling by car and parking. Drive and park at the finish in South Shields then catch a Metro or shuttle bus from the Leas or Bents Park Road to Haymarket Metro and the start. Parking is available on the seafront and in South Shields town centre. Parking charges will apply so bring some change. Park in one of the designated parking areas in Newcastle city centre. Do not park in areas which have police restrictions in place. Beat the South Shields traffic and park at a Metro station and catch a Metro to Haymarket station. Parking all day at Kingston Park, Northumberland Park, Regent Centre, Bankfoot, Four Lane Ends, East Bodon, Fellgate and Callerton Parkway stations is free on a Sunday. Heworth Station costs £1.20 for the day. Get dropped off at the start and collected from the finish. If you are being dropped off at the start we recommend you are dropped off near to Haymarket Metro station. If you have someone coming to collect you from the finish and you are being picked up on the Leas, please be aware that to speed up exit from the car parks there may be entry restrictions at a certain time. Plan your journey in advance and stay relaxed. If you follow this advice you’ll be able to relax on the morning of your run and make your day all the more enjoyable. Below, we’ve listed some of the Newcastle parking which is within walking distance of the Great North Run starting line in the city centre area, provided by Newcastle City Council, with Saturday evening and Sunday parking charges. Bear in mind, though, that the information can change, so this is an approximate guide based on that provided by the council and you should check the signs at the car park when you arrive. There is multi storey Newcastle parking and off street parking, all within reach of the Great North Run. Each marker carries individual parking charges and times for that location. Most Newcastle parking in the city centre is £3 per day on Sundays 8am-6pm, and is free after 6pm. It is also usually free after 6pm on Saturdays, and 5pm on Saturdays in the multi storey car parks, making them suitable if you’re arriving the day before the Great North Run. Please wear sensible running attire for this event and running shoes. Yes, we welcome runners in fancy dress. We do ask that you are considerate to your fellow runners, and don't wear a costume that might be obstructive or dangerous to others. 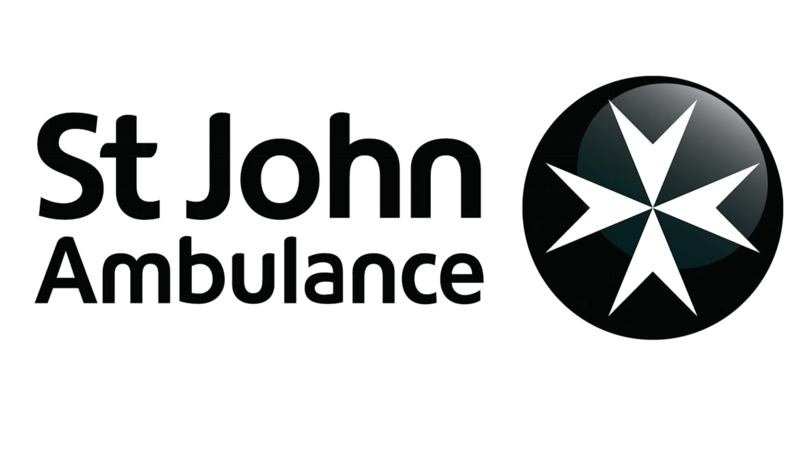 With experience of providing travel and accommodation services for both runners and spectators to the Simplyhealth Great North Run since 1999, Official Travel Partner, Nirvana, can assist your journey to the North East. Founded in the North East and with the very best local knowledge of any other travel and accommodation provider, Nirvana has been chosen as the official Simplyhealth Great North Run Travel Partner for good reason. As well as offering accommodation within a 50 mile radius of Newcastle City Centre to suit all budgets, Nirvana also provide unique travel package services to ensure a stress-free event experience.